Moreover, since the cyclone hit, cholera has surged in Mozambique to 4,600 cases and malaria to 7,500. Any prolonged interruption to essential services could lead to disease outbreaks and spikes in malnutrition – where children are especially vulnerable. According to UNICEF, over 200,000 homes were destroyed in Mozambique alone. And as the storm demolished crops just weeks before the harvest, food security is precarious while thousands of people remain in evacuation camps. The UN Children’s Fund expressed particular concern that more than 130,000 children were displaced, mostly in Mozambique and Malawi. Malawi over the next nine months, UNICEF has launched an appeal for $122 million. 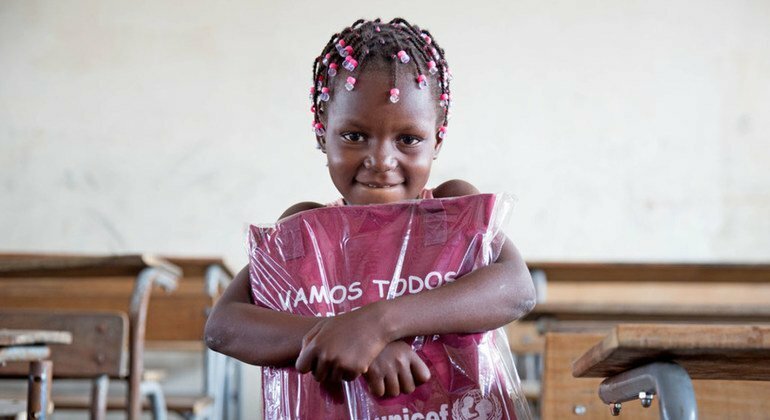 Mozambique: Provided vaccines to immunize 900,000 people against cholera; distributing 500,000 mosquito nets to protect against malaria; and helping to restore Beira’s water supply for 500,000 people. Malawi: Provided safe water to more than 53,000 people and toilets to over 51,000 people; in evacuation centres, provided child friendly spaces, water trucks, toilets, medicines, recreation kits and volunteer teachers. Zimbabwe: Provided over 60,000 people with information to prevent waterborne diseases; distributing hygiene kits; rehabilitating water systems; restoring sanitation facilities; providing vital health and nutrition supplies; and, with partners, delivering psychosocial support to vulnerable children in child-friendly spaces.